April 30th in Premium Themes by Wordpress Jedi . The number of Classified WordPress websites seems to be on the rise. Classified websites can not only be easily monetized but they provide you with a lot of targeted traffic. WordPress Classified Theme is another listing WordPress theme that enables you to put up your own classified website fast. This theme allows your visitors to easily post their listings on your website fast. You can easily customize all aspects of this theme. You can change the currency or customize the fee. 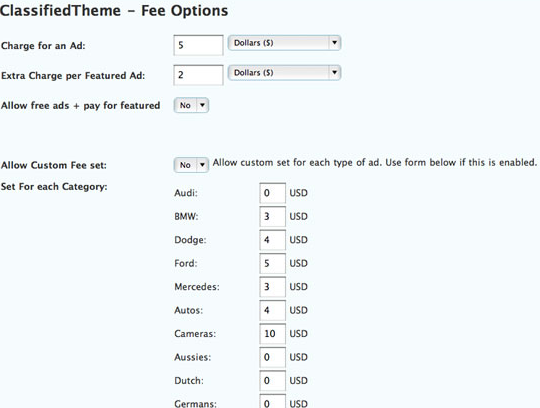 You can even customize your fee for each category. You can also use various languages and change currency for your ads. This theme support for 5 major currencies: EUR, GBP, AUD, USD, CAD. I do like the fact that PayPal is well-integrated into this theme. You can easily charge folks without having to look for a credit processing service. You can also add your analytics code to your site on the admin page to track your traffic. There are two features that I love about this theme. First, it shows your emails as an image, making it difficult for spammers to grab your e-mail address. Secondly, the theme auto-deletes old posts, which makes managing this theme much more convenient. 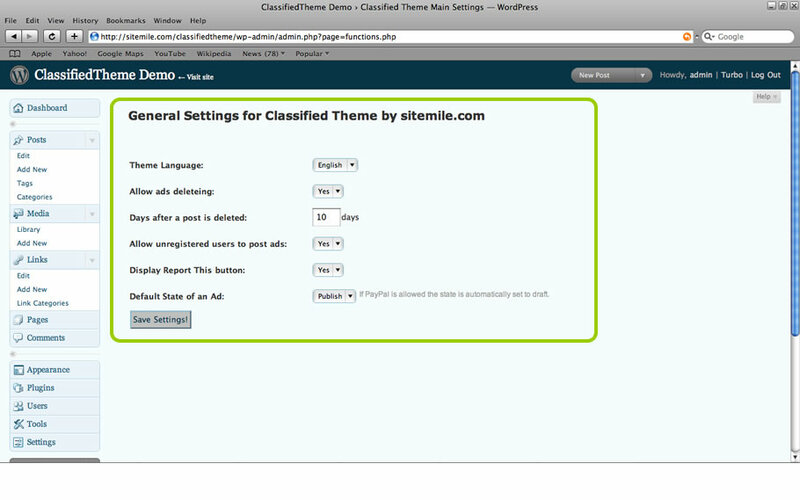 WordPress Classified Theme is a cool theme that lets you create a sophisticated classified website fast. Best of all, you get a clean code and lifetime support. If you are looking to start a listing website fast, you should strongly consider WordPress Classified Theme.